Capulin cherry tree sale – When is the season to buy Capulin cherry tree? What need to know before buy Capulin cherry tree? 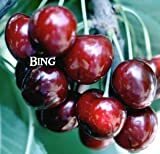 Need to know before buy Capulin although it’s called cherry the taste more similar to plums, it can grow in subtropical, mediterranean, temperate or tropic climate and can be invasive.